As a matter of personal preference I do not often read historical fiction work. I find the focus on author creative licence over historical accuracy a distraction and as such I am therefore fairly unacquainted with works by writers such as Philippa Gregory. That being said, my interest was piqued when I came across Owen by Pembrokeshire author Tony Riches. Owen Tudor was a fascinating character who led a remarkable life, a Welshman with a story that wouldn’t be out of place on the silver screen. 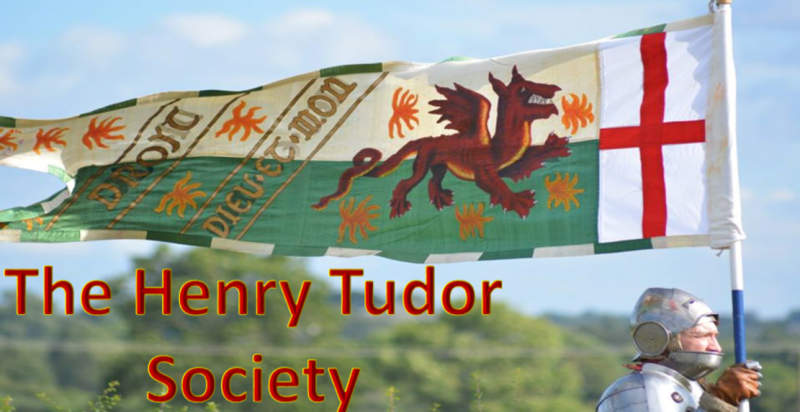 Tudor was born in North Wales around 1400 to an ancient Welsh noble family from Anglesey. He was descended from the Princes of South Wales and his father was a cousin of the great Welsh warrior, Owain Glyndwr. After the collapse of the latter’s Welsh Wars of Independence the Tudor family were ruined and Owen found himself exiled to London. Although the specifics have become shrouded in myth it seems he worked his way into the household of Queen Katherine of Valois, Dowager Queen of Henry V, and eventually gain her trust to the extent they were secretly wed. Together it seems they had at least four children before her death in 1437, at which point Owen became imprisoned for his crime of marrying the king’s mother without the consent of the council. After his release he was intimately involved in the Wars of the Roses conflict, tied to the House of Lancaster through his sons, Edmund Tudor, Earl of Richmond, and Jasper Tudor, Earl of Pembroke. The earls were the half-brothers of Henry VI and Owen fought alongside his sons as the wars progressed. Aged around 60 Owen was captured during the Battle of Mortimer’s Cross in 1461 and led to Hereford where he was executed. His grandson became King Henry VII, the archetypal rags to riches tale. The story of Owen Tudor is always one worth recounting and in my opinion has been unfortunately underutilised in fiction and nonfiction alike. Therefore I was pleased to discover Riches has used Owen as the protagonist for the first install of his forthcoming Tudor trilogy. Riches’ story commences in 1422 with a dashing young Owen employed as a servant in the household of the recently widowed Dowager Queen of England, Katherine of Valois. The queen is beautiful but lonely and it isn’t long before Owen is enamoured with Katherine, although their affair is not an immediate plot device. The story is told from the point of view of Owen and the narrative is short, sharp and to the point. Riches does not waste words and the result is a hard-hitting account of Owen’s life which moves a considerable pace. Some writers dwell on insignificant plotlines and often seem to be writing for writings’ sake at times, which makes Riches’ work a refreshing and captivating read. There are moments of humour, drama, tragedy and triumph and it seems Riches has captured the exhilarating life of Owen Tudor well. A passage at the beginning of the book, recalled by the adult Owen, certainly sets the tone for the enthralling read ahead. “‘Aim High, Boy’, my garrulous longbow tutor once advised me, his voice gruff from too much shouting. ‘It’s not the Welsh way to play safe and wait until you have a clean shot’”. 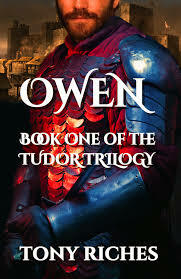 It’s fair to say Owen Tudor never played it safe and certainly Riches has aimed high like his protagonist. I look forward to following his Tudor trilogy as it progresses through Jasper Tudor and Henry Tudor’s lives. Tony Riches lives in West Wales UK, happily dividing his time between writing and sea kayaking. He has also penned Warwick – The Man Behind the Wars of the Roses and The Secret Diary of Eleanor Cobham. I never liked historical fiction either until I read Mantel’s Wolf Hall. It opens up a whole new world, so thanks for the review. Thanks so much for the heads-up! 🙂 I hadn’t come across this novel yet. I’m definitely going to read this. With so much emphasis on the role of the Yorkists in modern fiction and so (relatively ) little about the early Tudors this is long overdue.